Composer Vartan Aghababian (b. 1964, Detroit, Michigan) began piano studies at the age of eight and soon after started composing. His grammar school years of music study were infused with Orff Schulwerke and Dalcroze Eurhythmics; in the years that followed, his private studies were augmented to include the recorder, the oboe and English Horn, voice and dance. His experience includes performances in choirs, orchestras, wind ensembles as well as many solo and chamber performances. He studied with William Bolcom and Leslie Bassett during his undergraduate years (BM, 1987) at the University of Michigan (Ann Arbor, MI) and afterwards with James Hartway at Wayne State University (Detroit, MI). After receiving a diploma in film scoring (1992) from the Berklee College of Music (Boston, MA), he moved to Los Angeles pursue a career as a film music editor with Warner Brothers Studios (Burbank, CA). Following the two years in southern California, he returned to Boston to work as a freelance composer, scoring short documentary films and composing on commission. He completed his master’s degree in composition (MM, 2002) at the Longy School of Music (Cambridge, MA) studying with Eric Sawyer. He completed his doctoral studies in composition at Boston University (DMA, 2008) studying with Samuel Headrick. His music has been performed across the United States, in Asia and Europe. 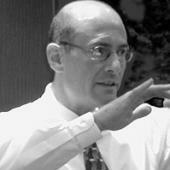 Currently, Dr. Aghababian is a also member of the music theory and composition faculties at Boston University (Boston, MA), the South Shore Conservatory (Hingham, MA) and at the Winchester Community Music School (Winchester, MA); he directs a chamber orchestra at the Winchester Community Music School. He is a three year former member of the faculty at the Boston University Academy (Boston, MA) and a twelve year former faculty member at the Longy School of Music (Cambridge, MA). He was the Composer in Residence for the vocal ensemble Recuerdo (Cambridge, MA) for seven years. He teaches privately, lectures publicly and continues to compose on commission.